Allen Johnson is president of the Faubourg Marigny Improvement Association. He says short-term rentals are impacting the neighborhood -- not in a good way. City business leaders and neighborhood associations discuss their concerns about the proposed short-term rental ordinance. The New Orleans City Council is preparing for a long and emotional debate October 20 on how to deal with short-term rentals. An ordinance is on the table that’s designed to regulate the industry that many credit for letting them make enough money to stay in their homes. Others argue that an abundance of visitors staying in neighborhoods throughout the city is ruining their quality of life. It’s a pretty quiet weekday morning in the Faubourg Marigny. Allen Johnson says by the end of the week, that quiet will disappear. 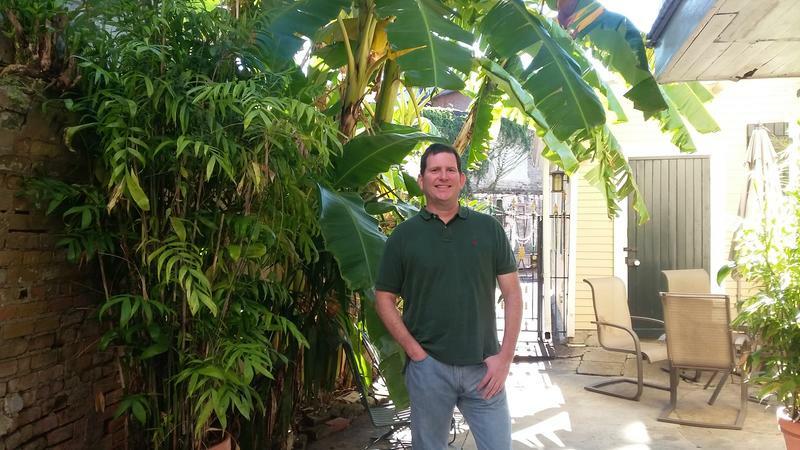 Johnson is the new president of the Faubourg Marigny Improvement Association, and he’s been working on ways to regulate short-term rentals for a few years now. The city says there are 174 short-term rentals available in the Marigny. It’s a frustration that’s building all over the city – not just in high-tourist areas. Short-term rentals have operated illegally for years in New Orleans, with residents renting out a spare room or separate apartment unit to make some money. But its popularity has spread quickly. Even in neighborhoods far from popular tourist destinations, like Old Arabi, Gentilly, and New Orleans East. Airbnb is only one of many companies offering accommodations. HomeAway is another site featuring hundreds of locations in New Orleans. Matt Curtis is a spokesman for HomeAway. He thinks there’s some middle ground that can be reached in terms of managing his industry. And he says there are ways in the ordinance to address neighborhood concerns. The New Orleans Planning Commission has spent the past two years exploring how best to regulate the short term rental industry. It compiled a 140-page report for the city council. It estimates the city could take in $400,000 a year in taxes if it levied the 1.5 percent tax on short-term rentals that it now gets in the 13 percent state hotel and motel sales tax. That’s Maevis Early, executive director of the Greater New Orleans Hotel and Lodging Association. She’s been working with the New Orleans Convention and Visitors Bureau for more than two years on the short-term rental market. She says the hotel industry can deal with the competition, if it’s fair. The commission is recommending the city add three or four staff positions with a $300,000 budget to keep track through the Department of Safety and Permits. That money would come from permit fees. Those are recommended at $200 a year for units with owners on site. But Early says there are too many unknowns. The planning report notes that the city needs to get state legislation passed to levy the hotel tax on short-term rentals. It also needs a process set up to handle complaints. Some in New Orleans are opposing the short-term rental of whole homes, while others say the practice helps restore neighborhoods. 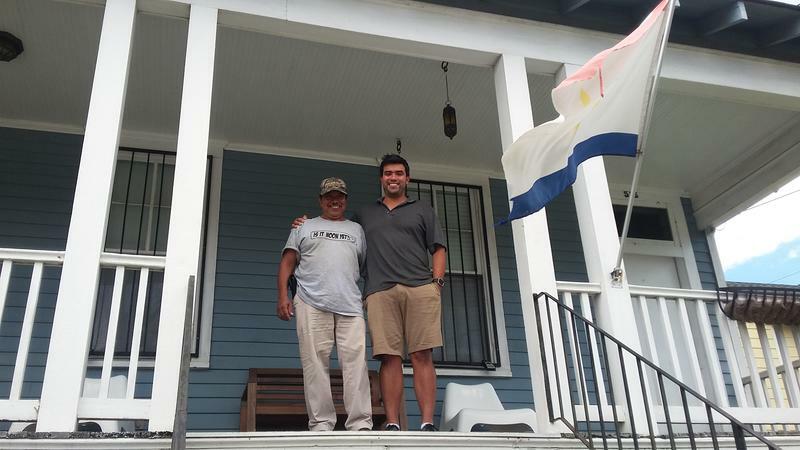 Love them or hate them, short-term rentals are booming in New Orleans. On October, the City Council is expected to make its first vote on regulating short-term rentals. It’s considering rules proposed by the City Planning Commission. One of the biggest points of contention is whole-house rentals. Many locals say that when short-term visitors rent whole homes, it changes neighborhoods. As New Orleans continues debating the pros and cons of short-term rentals, an association with members now operating in the burgeoning industry wants to get their message out. Operators of short-term rentals say they want to help – not hurt – the city.